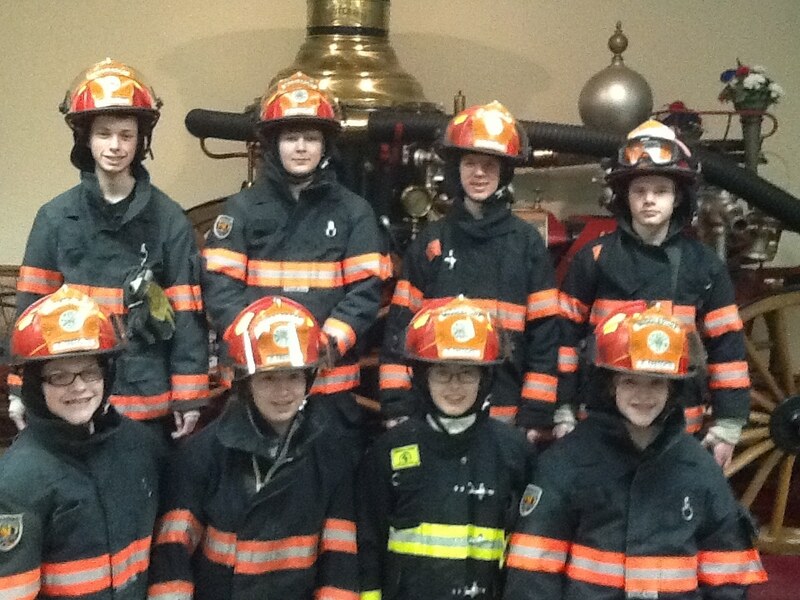 The Middleport Fire Company has developed a program for the youths in our community to experience the benefits of community service. Our Junior Membership Program has been designed to encourage the process of helping others in time of need. The rewards of being a volunteer firefighter are many but they are intangible – everyone must seek it in her or his own way. While we are teaching the junior members the vocational and technical aspects of firefighting, we also want to impact them with the concept of serving others. By helping those in time of need and putting someone else first, we can help today’s teens to focus their talents and energies in a constructive way, while being actively involved in the community and building a pool of references for the future. We believe that community involvement helps to mold individuals into productive citizens. Our intent is to encourage the junior members to challenge themselves by asking their own questions and seeking their own answers. The type of approach that we take towards them is one that values their personal points of view and attempts to encourage them in the directions they have chosen for themselves. The junior members are mentored by an advisor(s) who supervises their activities and reports directly to the Fire Chief. Junior Program Advisors are appointed by the Fire Chief. The junior program has set rules and regulations regarding equipment, training, school grades, hours of attendance, and when and what circumstances they are allowed to respond to an emergency. Junior Firefighters are not allowed to take part in active firefighting. Our program is designed for any teen age 14-17. To join the program, the teen must fill out an application and the advisor must meet with the parent or guardian. 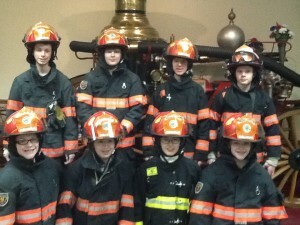 Once in the program, the teen may opt to become a regular active firefighter on their 18th birthday upon recommendation of the advisor and a vote of the general membership of the Fire Company. Many Juniors have gone on to hold offices in the Fire Company and have taken active roles in the Fire Service. They are well respected and fit right in. You can see who is a member by clicking on the Members tab on the home page of this site.